Moderate hypertriglyceridemia is exceedingly common in diabetes, and there is growing evidence that it contributes to residual cardiovascular risk in statin-optimized patients. Major fibrate trials yielded inconclusive results regarding the cardiovascular benefit of lowering triglycerides, although there was a signal for improvement among patients with high triglycerides and low high-density lipoprotein (HDL)—the “diabetic dyslipidemia” phenotype. Until recently, no trials have examined a priori the impact of triglyceride lowering in patients with diabetic dyslipidemia, who are likely among the highest cardiovascular-risk patients. In the recent REDUCE IT trial, omega-3 fatty acid icosapent ethyl demonstrated efficacy in lowering cardiovascular events in patients with high triglycerides, low HDL, and statin-optimized low-density lipoprotein (LDL). The ongoing PROMINENT trial is examining the impact of pemafibrate in a similar patient population. Emerging evidence suggests that lowering triglycerides may reduce residual cardiovascular risk, especially in high-risk patients with diabetic dyslipidemia. MJC is supported by a Career Development Award from VHA Health Services Research & Development (CDA 13-261) and acknowledges support from the Center of Innovation to Accelerate Discovery and Practice Transformation (CIN 13-410). Additionally, research reported in this publication was supported by the National Institutes of Health under Award No. T32DK007012 (ASA). John R. Guyton has received research support from Sanofi, Regeneron Pharmaceuticals, and Amarin Pharmaceuticals. Anastasia-Stefania Alexopoulos, Ali Qamar, Kathryn Hutchins, Matthew J. Crowley, Bryan C. Batch, and John R. Guyton declare that they have no conflict of interest. Centers for Disease Control and Prevention. National diabetes fact sheet. 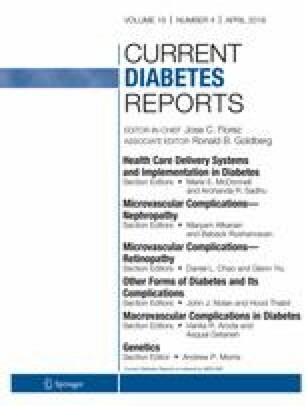 Available at: https://www.cdc.gov/diabetes/pubs/pdf/ndfs_2011.pdf 2011 [Accessed 12/10/2019].